In addition, I had an old Forever 21 necklace that fell apart after only one day (shocker!). I used the beads from the necklace for this shoe decorating project. 1. 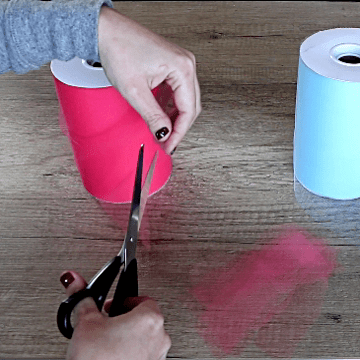 Cut five 1″ wide 6″ long pieces of tulle. 2. 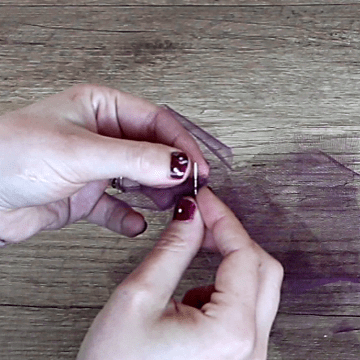 Use the invisible thread to ruffle the tulle. To make the ruffles, weave the needle and the invisible thread along the edge of the tulle. Then, gather the tulle and tie the thread in a knot. This will form a tulle pom pom. 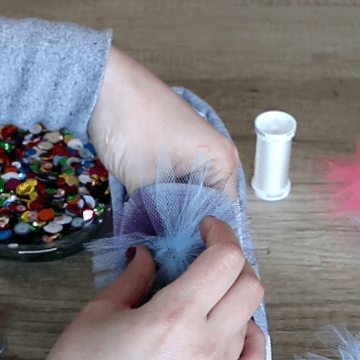 If you have different colors of tulle, make pom poms from each color and stitch a couple of them together, mixing and matching the colors. 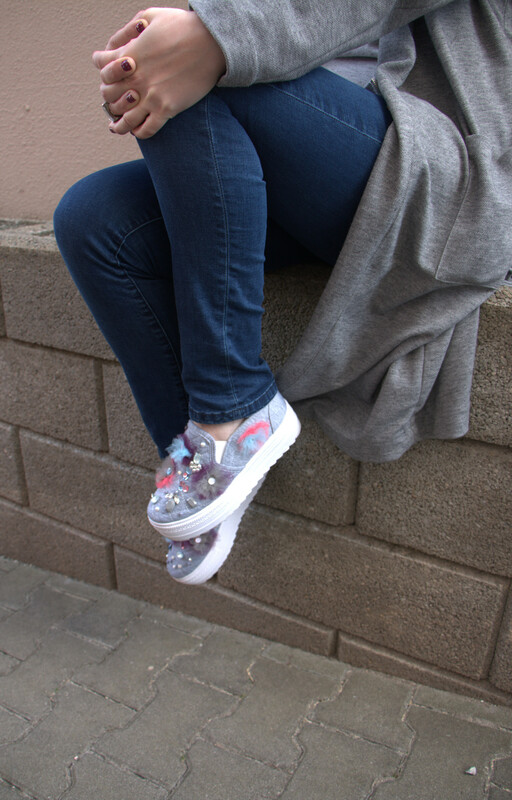 Once the tulle pom poms are ready, use the invisible thread to sew them on the shoes. If the fabric of the shoes is thick, you can use a thimble to push the needle through. Cut the tulle to shape the pom poms if necessary. Finally, stitch a sequin at the center of the pom poms. Repeat the same steps with different tulle colors and sequins. 3. 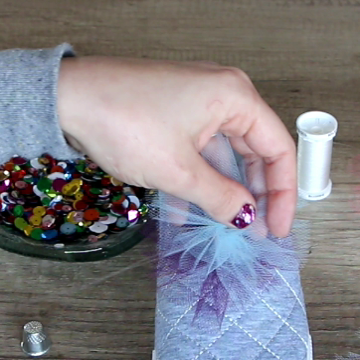 Sew a few loose sequins. Below are the cute up-styled canvas loafers I made. If you are looking for more ideas for decorating shoes, check out this blog post for decorating canvas boots.